Child’s play for our experts. In search of artesian well or geothermal drilling, or water analysis and water treatment experts for your home? Trust our expertise for quality, personalized service. 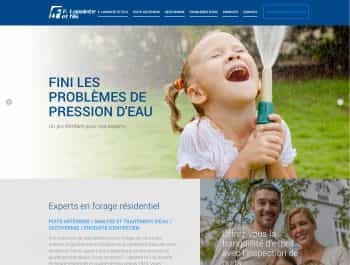 We are F. Lapointe et Fils, experts in residential drilling and quality water since 1923. Let us show you how we can improve your family’s overall well being thanks to our exceptional knowledge and thorough guidance during your project. Our experts are available to answer your questions!